One of favourite chocolates as a kid was the Kinder Egg, I like the combo of chocolate and a collectable toy. I still occasionally buy them, and still have a reasonable stash of novelties I have found in them and built. 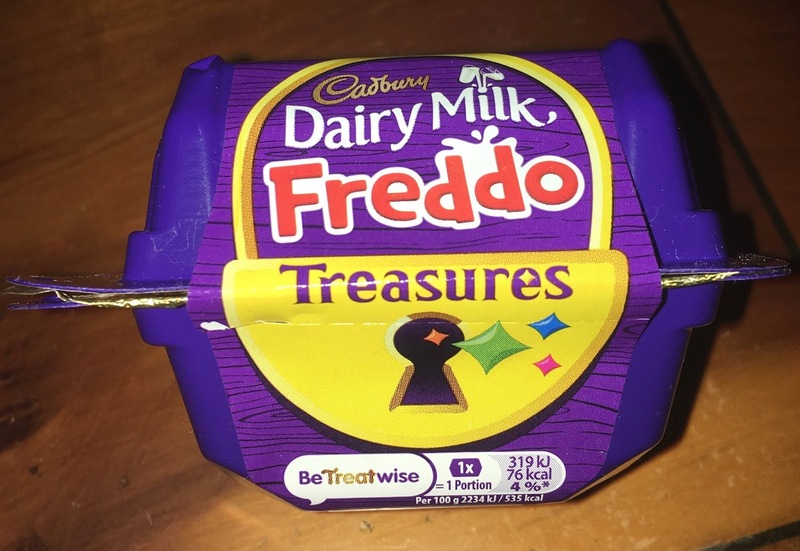 When I first saw this new pack of Dairy Milk Freddo Treasures, I thought it might be something fun to add to my toy collectables. The chest like structure opens up to reveal enclosed foiled areas, one with a toy and one with chocolate buttons. 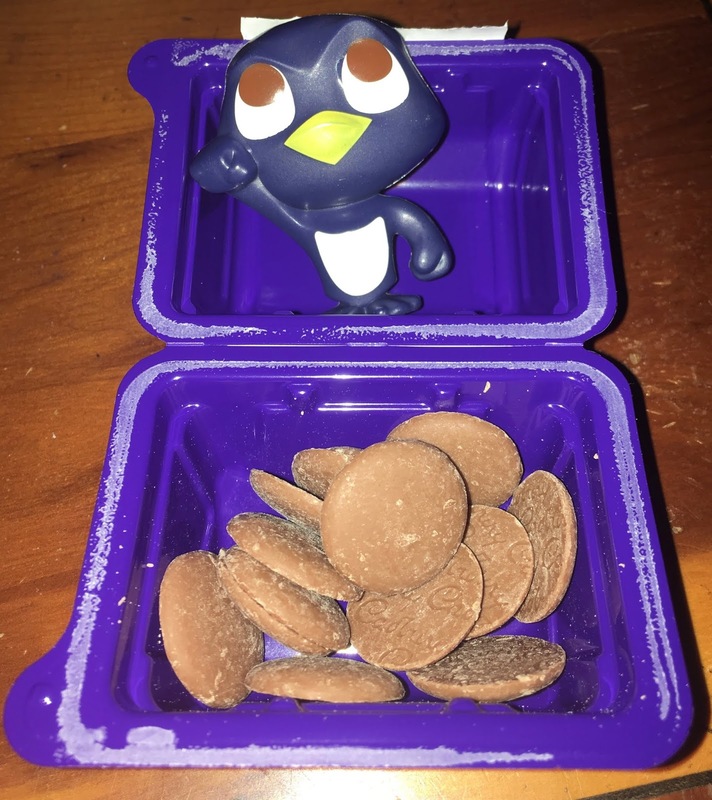 The buttons are Dairy Milk, so are sweet and creamy and tasty. I haven’t had regular milk chocolate buttons from Cadbury for sometime so I enjoyed them, but do accept there isn’t anything new here. The next section is the toy but when I pulled back the foil I realised it was a just a solid plastic model. There was nothing to do or nothing to build physically. There was a ‘scan me’ and interact online code, but I would have preferred something more readily interactive. 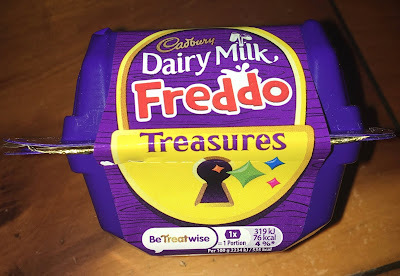 This was a nice treat, and I think kids will love these Cadbury Dairy Milk Freddo Treasures, but I wouldn’t mind something a bit more fanciful in the toy section. I do have another to open, so maybe that will have something a bit different inside. Hae to say I agree 100%. This is a pretty naff product and typical of Mondelez brand abusing. The toy is kinda cute, if a little pointless. All I can think of is what a glorious waste of plastic, and for very little benefit to anyone. Id rather have a real Freddo (or even Taz) any day.